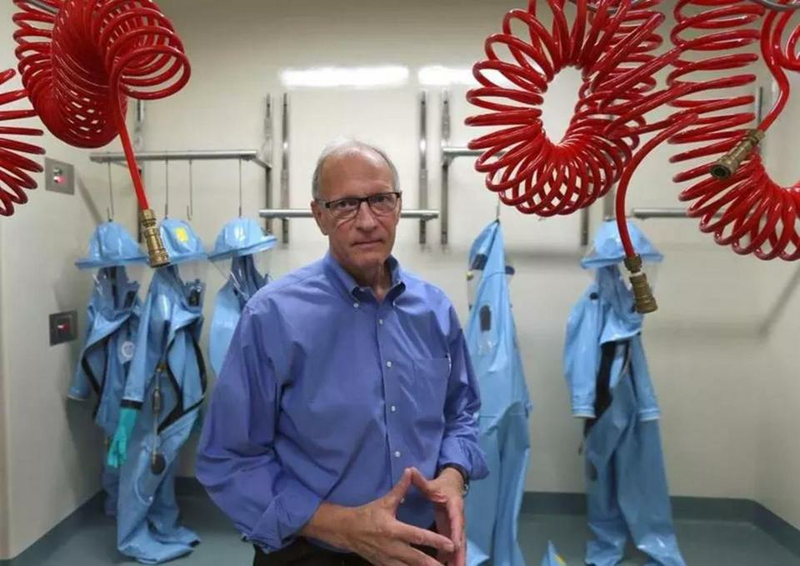 The Boston Public Health Commission on Wednesday gave the final approval for Boston University’s high-security laboratory to start research on the world’s deadliest microbes, ending a decade and a half of controversy. The commission’s OK was the final step allowing the study of Biosafety Level 4 pathogens — those that have no treatment or vaccine, such as Ebola. Level 4 research could begin in a month or two at the facility, called the National Emerging Infectious Disease Laboratories. Facing fierce opposition from neighbors and others concerned that dangerous germs would escape, the biolab underwent more than a dozen years of risk assessments, public hearings, and failed lawsuits. It received more than 50 permits and approvals from federal, state, and city agencies, most recently passing muster a year ago with the US Centers for Disease Control and Prevention. Built with $200 million in federal money, the building has been looming, mostly empty, over the South End near Boston Medical Center since its completion in 2008. For five years, teams of microbiologists, virologists, engineers, and other scientists have been doing research on less-dangerous germs in the building. Now, they will be able to move into a separate earthquake-proof structure within the building, encased in 12-inch-thick walls. Having a facility where a dedicated group of scientists can study deadly microbes is “really important for our public health,” said Corley. One floor in the facility will be dedicated to the Level 4 research, he said. There are also more safety features and extra levels of protection on the floor, he said. All the air that goes in and out of that floor is “sterile filtered,” he said. He declined to say what floor would be home to such research, citing safety concerns. Corley said the lab has received approval for one project that will study filoviruses such as Ebola and Marburg. He did not have an exact timeline for when that work would start. Eventually, 75 to 100 people could work on Level 4 of the lab, said Corley, but he added that no more than 30 would be in the space at one time. He expected the work on the Level 4 floor to attract innovative disease researchers to the facility. “Absolutely, it’s going to be a magnet,” he said. The lab already is poised for innovative research. Microbiologist Elke Mühlberger, who came to BU nine years ago from Germany, will be able to advance her work on Ebola and Marburg viruses and find ways to prevent and treat them, and the virologist Dr. Paul Duprex will prepare to study Nipah virus, the university said. Each project the lab undertakes must separately win approval from the Boston Public Health Commission. Felice J. Freyer can be reached at felice.freyer@globe.com. Follow her on Twitter @felicejfreyer. Danny McDonald can be reached at daniel.mcdonald@globe.com. Follow him on Twitter @danny__mcdonald.